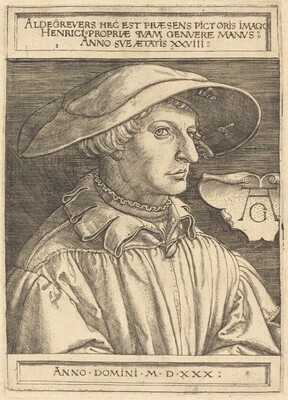 "The Power of Appearances: Renaissance and Reformation Portrait Prints", Hood Museum of Art, Dartmouth College, Hanover; The Frances Lehman Loeb Art Center, Poughkeepsie; Joslyn Art Museum, Omaha, 2000-2001. The New Hollstein German Engravings, Etchings and Woodcuts, 1400-1700. (Heinrich Aldegreaver, Ursula Mielke, author). Rotterdam: Sound & Vision Interactive, 1996-, no. 188, state i/ii.